I am always fascinating with stories of how people reorganize their lives and start a completely new second career later in life, particularly when this involves relocating to a new country and starting a new business. Being an immigrant myself I can relate to what it means to start over in a new place, and when people manage to do this successfully in mid-life the stories become even more fascinating. 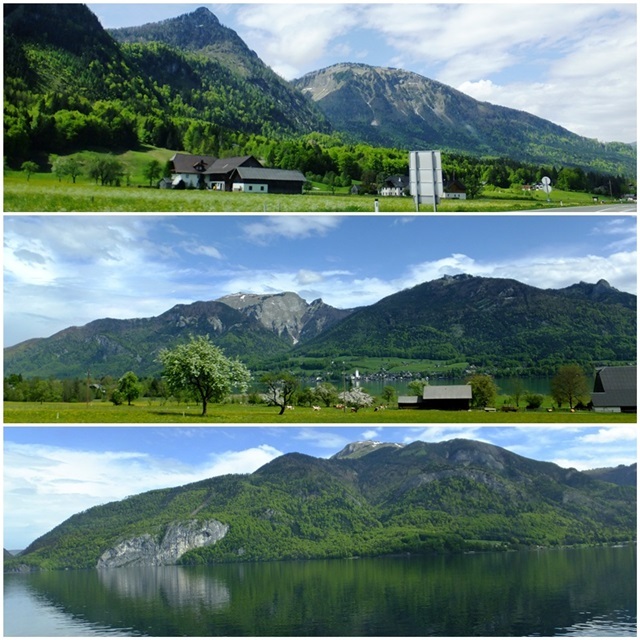 While travelling in Austria in May of 2013, I spent three days with my family in the Austrian Salzkammergut region, the famously gorgeous lake district where “Sound of Music” was filmed. We rented a 3-bedroom apartment called “Alpenwiesen” (literally translated “Alpine meadows”), just outside the picturesque town of Bad Ischl, a quaint town which happens to be a former summer residence of the Austrian emperor in the 1800s and early 1900s. 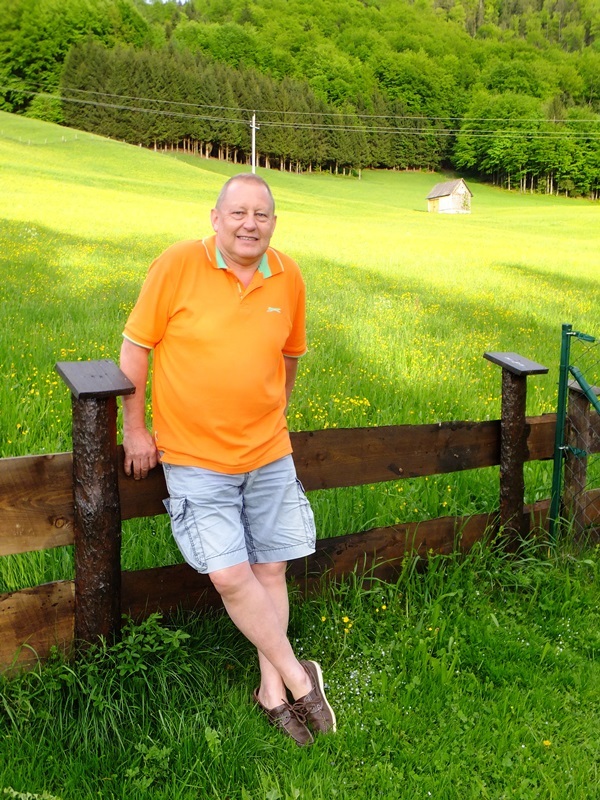 We got to meet the owner of the apartment, Ken Faulkner, who welcomed us warmly and provided us with a very enjoyable two-night stay in his apartment which turned out to be a great home base for exploring the entire Salzkammergut region. I got a chance to speak to him a bit more and found out that he hails from England (well, his accent had given that away already), and he and his wife and an adult son had moved to Austria fairly recently to start a new life for themselves. From everything I could tell, Ken and his wife have found their own personal paradise in Bad Ischl, and they made a very successful move from England to Austria. Here is Ken’s story where he shares where he is from, what made him move and how his new adventure in Austria has been going so far. 1. Please tell us a bit about yourself and your family. Where are you from, what did you do before you moved to Austria? I was born in 1953 in Melton Mowbray, UK, which was at that time a small market town in Leicestershire that was famous for fox hunting, pork pies and Stilton cheese. Melton has two weekly markets similar to the “Wochenmarkt” (weekly market) in Bad Ischl. When I was very young we lived in a house where when you crossed the road you were in the countryside. Before WW2 a lot of the Royal family would come up to Melton for the fox hunting and a number of quite large houses, like the villas in Bad Ischl but in an English style, were built in the countryside around Melton by the gentry to accommodate their hunting guests. While by no means as grand as Bad Ischl, Melton does have a significant royal connection which carried on after the war. When hunting foxes with hounds was banned several years ago the current Prince of Wales, who regularly used to Ride to Hounds with one or two of the local hunts presumably reduced his visits. But it may be that he still does come up to Melton for the ‘hunting’ even though the fox is no longer the quarry. Initially I worked in Melton for a local savings bank although over the years I moved to Nottingham and Northampton before being made redundant in 1990; at that time I was a senior bank manager. After that I had a period of unemployment/other jobs before joining AXA Insurance where I did various jobs finishing as a Senior E Learning Consultant. I got married to Karen in 1975 and over the last 38 we have accumulated 6 children, four we made ourselves and two we adopted. We have seven grandchildren and one more, a girl, due in October. 2. What made you decide to move to Austria? Who came with you? We came to Austria for our 25th wedding anniversary in 2000 and fell in love with the country. It wasn’t possible or the right time to move then but over the next seven years we planned our move and so in July 2007 we did it! Why? Well, as I said we love Austria, the mountains, the lakes, the sun, the snow, the traditions and, most importantly, the people. We have been treated incredibly well since we moved here. Our neighbours ‘look after us’ and we do our best to fit in. Our German is appalling, but thankfully not as bad as it was, and our neighbours make allowances for that. We have always looked for challenges and moving to Austria was a big challenge. Certainly I couldn’t face the prospect of kicking my heels at work until I retired and then doing what? Voluntary work or stacking shelves? I don’t think so. There has to be a reason to get up in the morning and moving to a beautiful country and making a new life work is a very enjoyable challenge. When we moved here there were just three of us, Karen, myself and our youngest son Owain plus of course “his lordship, Lord Rollington” (Roly) our beagle. Later, two years ago we were joined by our eldest son Gareth who is now running his own small business out here. 3. Please tell us about Bad Ischl and the surrounding area where you are now living. 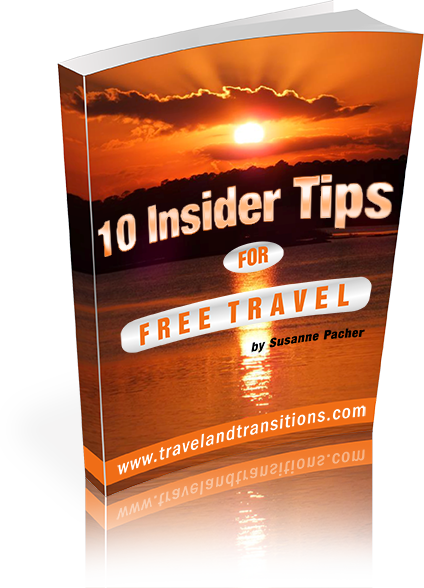 What can travellers expect to see and do in your area? What are the main travel seasons for coming to your area? Bad Ischl is set in the middle of the Salzkammergut, the Austrian lake district, amongst majestic green mountains and crystal clear lakes. It really is an all year round holiday destination with something for everyone. In the winter there are winter sports, downhill skiing, snowboarding, ski touring, snow shoeing and cross country skiing, plus other more gentle pursuits like sleigh rides in the snow. In the summer you can swim in the beautifully clear lakes, sail on them or water ski/wakeboard. Or you can walk or mountain bike in the mountains or perhaps just sit and enjoy the wonderful scenery. Temperatures can reach nearly 40 degrees Celsius, so getting a good sun tan is also possible. Autumn is really the best time for walking in the mountains because it is not so hot, the scenery is just as beautiful and the trees are starting to turn brown and orange. In addition, there are the Bauernherbst (“Farmers’ Fall”) festivities where you can go and eat, drink and listen to traditional music and generally have a really good time. Often connected with the Bauernherbst celebrations are the “Almabtriebs” when the cattle, decorated in colourful garlands and headdresses, are brought off the mountains for the winter. As winter approaches there are the traditional Advent and Silvester (= New Year’s) markets where you can buy traditional gifts, eat seasonal food and have a warm mug of Glühwein, the famous Austrian version of mulled wine – an excellent way to prepare for Christmas and the new year. 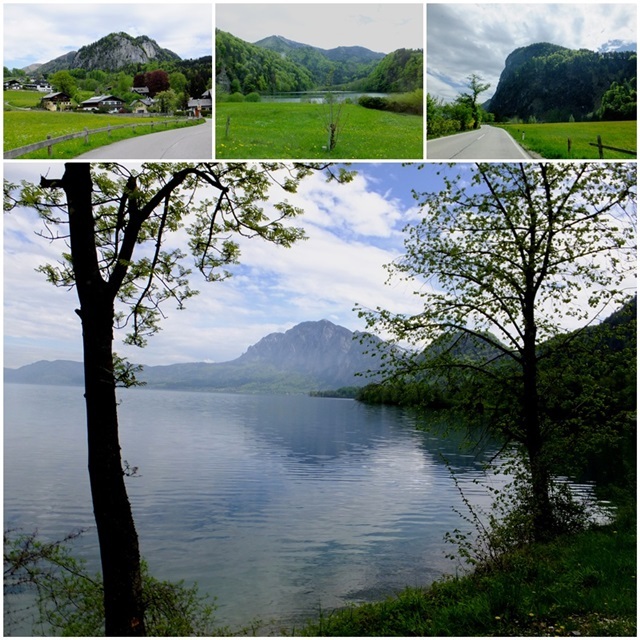 Spring time is a great time to be in Austria and particularly the Salzkammergut. The woods are full of flowers which seem to be ready to show themselves as soon as the last snows melt, the air is warm and everything, woods and fields, is busy turning green after the winter. Later the fields are full of bright yellow buttercups and long green grass and the sound of crickets fills the air in the evenings. 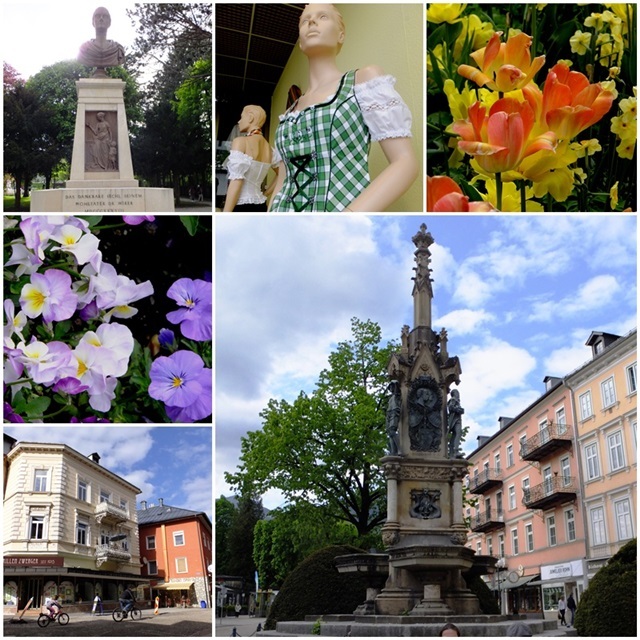 And don’t forget the history and culture of Austria, Bad Ischl is about 20 minutes drive from the World Heritage Village of Hallstatt and about an hour from Salzburg, Mozart’s birthplace. 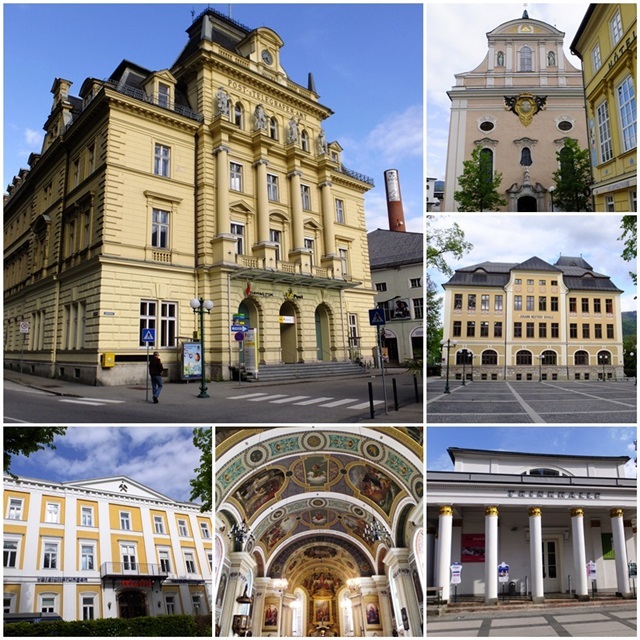 And Bad Ischl itself is most famous for being the summer residence of the Habsburgs, the Austrian imperial family, and it is still a popular spa town today. 4. How was the transition of moving from England to Austria? What about culture shock and adjusting to a completely new environment? In some respects the move to Austria was not a lot different to a move a long way from home in England. You have the usual problems leaving friends and family behind and of course getting services like electricity, water and sewage organised. Not speaking much German was a problem but people were very understanding and we muddled through. Adjusting to the new environment was not a problem either. Things are different in Austria and we accepted that. If you want to ‘live in England in Austria’ it isn’t going to work (It wouldn’t work the other was round either) so get on with living where you are. Having said all of that we were very lucky to have a close neighbour who speaks English and took us under his wing acting as interpreter and our ‘walking talking guide to living in Austria’. 5. You mentioned the importance of keeping your risk and expenses small. Please tell us about your new livelihood and your holiday apartment. Your wife and you are involved in different endeavours now in Austria. I was a banker for only 19 years but my family still say ‘You can take the man out of the bank but not the bank out of the man.’ I started working in the bank when not borrowing more than you could afford was still popular and although I was able to successfully adapt to the changing role of banks I always had a nervous feeling about the way things were going so I was not particularly surprised when it all went wrong in 2007. Given my conservative attitude to risk and the fact that we are both on the wrong side of 50 we have to be careful that we don’t lose all our money because we have no time to make more before we retire. So instead of buying a hotel we bought a house that was already divided into two apartments; we rent out one and live in the other. Although this is potentially less income we don’t have a mortgage so there is less risk. In addition, Karen is a qualified teacher of English as Foreign Language so she does a little private teaching and together we run a number of after school clubs teaching English to young Austrians. I can honestly say we thoroughly enjoy doing what we do. While we have taken a tremendous drop in income because of our lifestyle we are able to cut our costs significantly too. Previously in England if we needed a job done around the house or to the car we would pay someone to do it because we had neither the time nor the inclination to do it. Now we do it ourselves if we can. It is surprising what we can do when we have the time. We are lucky that we have some savings and pensions are not too far off because we do not always make enough to cover our costs but we don’t do too badly. The great thing is that we live on a quiet country road and look out onto woods and fields. Our nearest neighbour is about 25 metres away, so if you want to live in the countryside and enjoy the alpine scenery and peace you only have to walk outside and immediately you have saved perhaps €1000 in flights and accommodation to do the same thing if you lived in England. 6. What does a typical day look like for you and your wife these days? The weekly routine as we knew it in England has disappeared because in the summer particularly there are no weekends. We work when we need to and take time off when we can. Sometimes we work long days; other times we don’t do much at all and other times we have a ‘weekend’ although it may be on Wednesday. – Failing that we go for a stroll around town or a lake and enjoy a cool beer or coffee and cakes. – Late afternoon/early evening we might go for a run or maybe listen to a band play in the local park. or walk the dog along the local lanes or through the forest. – Evening meal, sometimes whilst sitting in our lovely garden admiring the view and watching the deer grazing in the meadows. 7. In your holiday rental business, where do your customers come from? How do you find your customers and how do they find you? What are your busy times? Our guests come from literally all over the world, not so many from Arab countries but generally all over the world. We advertise our property on a lot of websites that specialise in advertising holiday accommodation and we get some personal recommendations and some referrals from the tourist office. We are busiest from May to the end of October with the months of July and August being the ‘high season’. November and the first three weeks of December are quiet but things pick up around Christmas and New Year. January, after the 6th is not incredibly busy although February is. March and April are not busy and so much depends on the weather. If there is still snow then we might get late skiers, and if it is warm then we might get people wanting to walk or cycle in the mountains or by the lakes. 8. Please tell us about your 3 favourite or most memorable experiences with your holiday rental business? Last week we had a group of four people from India who were absolutely delightful; we emailed a lot and spoke twice before they arrived. We were looking forward to their visit; it was as if we already knew them. They were super guests, on several evenings they invited us to drink wine and eat canapes with them. They were grateful for the advice we gave them and were really good fun to have around. Then there were the guests who left our gate open and let our dog Roly out. Rolls made his way along the road to the house of our then 92 year old neighbour who was getting her dinner ready. Our neighbour got out two sausages and left them on the kitchen counter and went away. Unfortunately the kitchen door was open so Rolls walked in and helped himself. Our neighbour came back and could not see the sausages and thought she hadn’t got any out and got two more out, laid them on the kitchen worktop and went away again. So Rolls went back a second time and stole two more sausages. Sadly Rolls had been seen by the nephew of our neighbour who ‘grassed him up’ leaving me to apologise and offer to pay for the sausages. Our neighbour was really good about the whole affair and said no to the money and ‘He’s a dog!’ And the nephew who saw the thefts when questioned about why he had not stopped Rolls said he was laughing too much. 9. 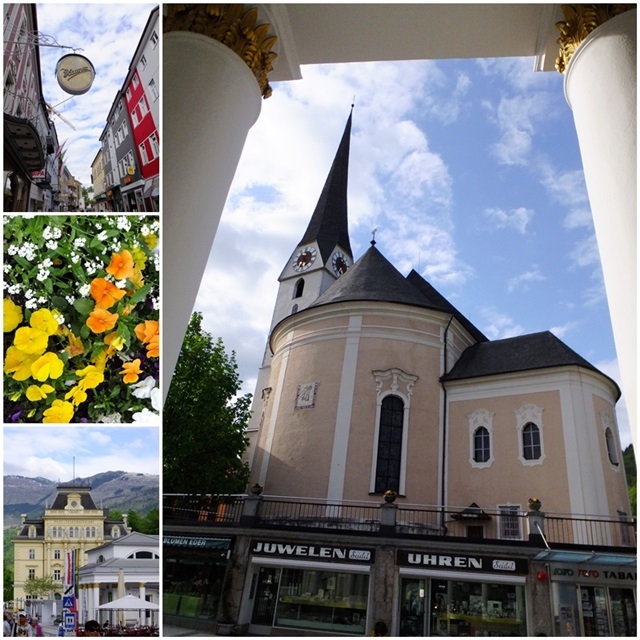 What is it you love most about your new home in Bad Ischl, Austria? The setting – we lookout on fields and woods and have the forest behind us. Thank you, Ken, for taking the time to talk with us and we wish you the best of success with your apartment rentals and your life in Austria.